Here's a Friday Freebie "just because." 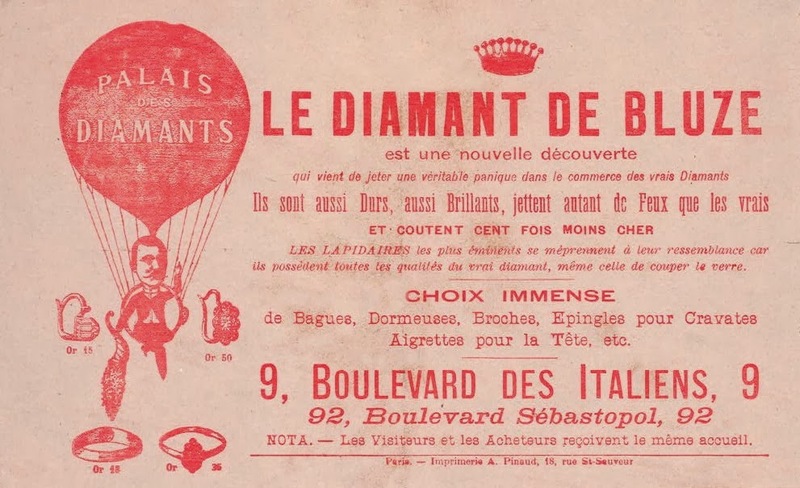 It's an antique French advertisement for a diamond shop in Paris, and does have some Vintage Red for the challenge! (There's still time to enter!) I like the hot air balloon picture and the little crown and diamond rings, but I think my favorite part of this image is all the different vintage-style fonts. Boulevard des Italiens is one of the four grand boulevards in Paris. Also just for fun, here is an old photo postcard of Boulevard des Italiens! Thanks Karen...love the advertisement and french postcard. Thank you for sharing. Karen thanks so much these are great. I am so excited to be using your digis this week for the Sketch N Dies Challenge.